Tiko is now a SUPREME CHAMPION. Awarded BIG @ Goomeri by Mr C Woodrow gave Tiko the final points he required to obtain such status. 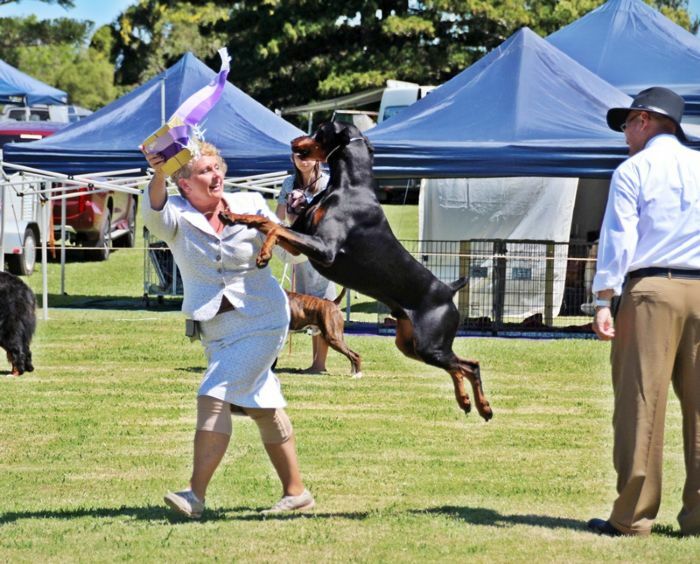 Tiko is the YOUNGEST DOBERMANN in Australia to obtain a Supreme Championship Title. This is an amazing achievement at 18 months of age. We are so very proud of this boy.....he is an ABSOLUTE delight to show. We are proud to announce that Tiko obtained his Australian Championship Title at 7 1/2 mths of age. Outstanding Achievement: Awarded 17 "in Show" awards by 7 months old. A Huge Thank you to all those Judges who see "quality" in Tiko. This handsome young lad was a multi Best in Group winner before 9 months of age. 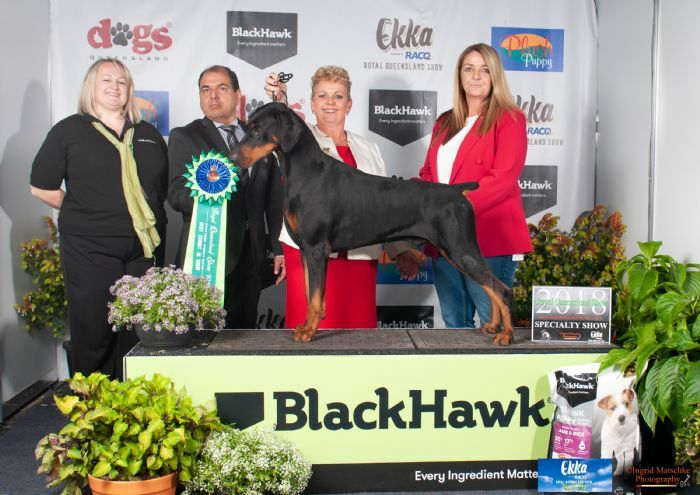 Tiko is an exciting new joint venture for Wattavue and Glanikdobe Dobermanns. 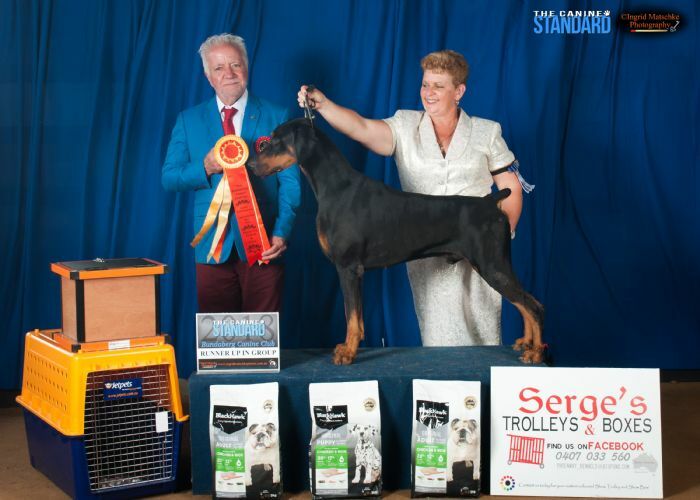 Firstly, a huge "Thank You" to Jan Read of Derringer Dobermanns in New Zealand for entrusting us with such a delightful and handsome boy. We look forward to Tiko's contribution to our breeding programe but in the mean time we will enjoy him "strutting his stuff" around the show ring and of course entertaining us daily with his antics. Tiko is a big strong and confident boy with loads of bone,attitude and a passion for water. We look forward to Tiko entertaining us with his bold personality for many years to come.